What is the Day of Service? Volunteers choose a local community site and contribute “sweat equity” - working with their hands, heart, and sweat - to meet the site’s needs for three hours on a Saturday from 9:00 AM - 12:00 PM. Typical tasks include helping to landscape a garden, paint a classroom wall, or clean up a nearby school, homeless shelter, center for youth development, and other partners. We do what we can, starting in our own neighborhoods. The Day of Service is offered quarterly. 1) Spend quality time with your friends or family by building a rhythm of serving your community together. 2) Learn about local issues and make a difference by supporting good work already being done in the community. 3) Meet new friends and neighbors across faith and background, collaborating shoulder to shoulder to transform the East Bay. Scroll through our Instagram with #storiesofprojectpeace. Our Flickr collection captures the feel of the day. Join us on Facebook for reminders about upcoming Days of Service. 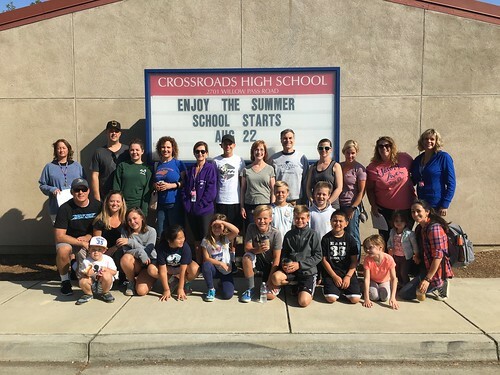 The next Day of Service is on June 1, 2019!